Mark Evans, Elena Shaddow and the cast of 'Mary Poppins' at Paper Mill Playhouse. Photo by Jerry Dalia. Denis Jones is one of today’s most exciting choreographers on the musical theater scene. Whether designing dances for an original work or a revival production, his aesthetic draws upon classic, old school style but adds a spark of magic — as if you’re seeing that movement vocabulary for the very first time. It’s heartening to see informed, period choreography excite and resonate with contemporary audiences. 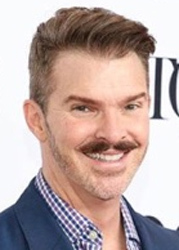 Jones, a 2017 Tony nominee for Best Choreography for his work in Holiday Inn, recently wrapped up a run of Mary Poppins, his seventh production at New Jersey’s beloved Paper Mill Playhouse. We all know and love the story of the magical nanny who saves the Banks family (by way of some pretty spectacular adventures). And Paper Mill’s production certainly did not disappoint. The audience chuckled at Michael’s adorable one-liners, teared up when Mr. Banks finally takes his children to fly a kite and gasped as Mary Poppins flew with her umbrella across the sky. But as the chimney sweeps — over 20 — took the stage and slowly stepped into a flat-back attitude while singing “Over the roof tops step in time…”, I noticed as the audience wiggled to the edge of our seats. We were about to be wow-ed. 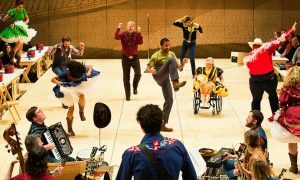 The intricate tap dancing, contagious enthusiasm, arc of the number and synchronization of the ensemble were brilliant. I’d say about 85 percent of the audience (the rest being young children who may have not seen the film) knew what to expect with “Step in Time.” But I can assure you that the number exceeded all those expectations. “Step in Time” alone was worth the price of a ticket to the show. 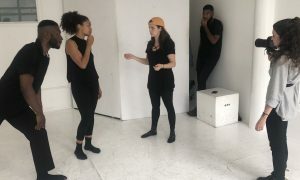 That’s a characteristic of a really talented choreographer — not just someone who can weave together interesting movement but one who can challenge audiences’ expectations and present a new or different viewpoint. 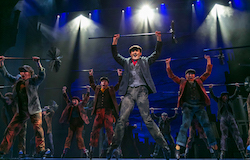 Amidst his busy summer, Jones was able to squeeze in a quick interview with Dance Informa to chat about Paper Mill’s Mary Poppins, his recent Tony nomination and what’s yet to come. Take a look! 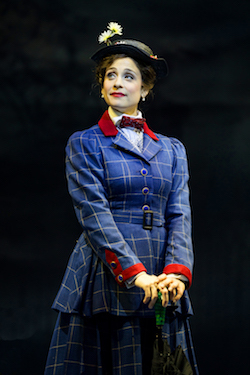 Elena Shaddow in ‘Mary Poppins’ at Paper Mill Playhouse. Photo by Matthew Murphy. Let’s start from the beginning. 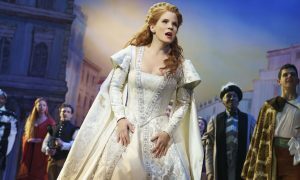 What was your dance and musical theater background growing up? Besides Gene Kelly, who were some of your dancer and choreographer idols? How did your experience dancing in a Broadway ensemble and as an associate choreographer affect who you are as a choreographer today? Mark Evans in ‘Mary Poppins’ at Paper Mill Playhouse. Photo by Jerry Dalia. What’s your creative process like? From where do you draw inspiration, and how do you design choreography? Your work — especially in Mary Poppins and recently in Holiday Inn — makes use of a lot of interesting props (chimney brooms, hand paddles, jump ropes and more). 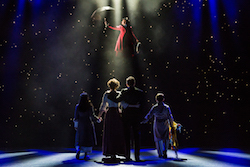 ‘Mary Poppins’ at Paper Mill Playhouse. Photo by Matthew Murphy. In ‘Supercal…’, the dancers each have two hand paddles with letters spelling out ‘supercalifragilisticexpialidocious’. Throughout the production number, the ensemble seamlessly dances to different formations and spells a slew of other words! Seriously, how did you choreograph this complex number? 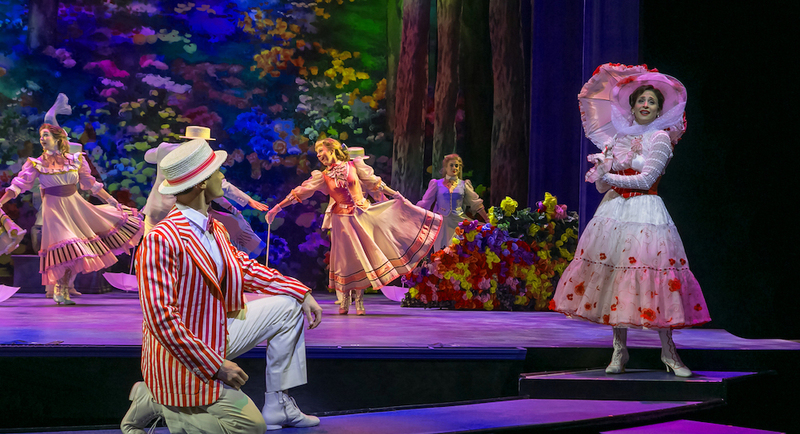 How did you bring freshness and excitement to the classic story and images audiences expect to see in Mary Poppins? 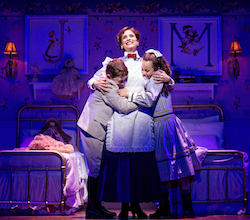 John Michael Pitera, Elena Shaddow and Abbie Grace Levi in ‘Mary Poppins’ at Paper Mill Playhouse. Photo by Matthew Murphy. Do you prefer choreographing new works or revivals? You’ve worked at Paper Mill a number of times. What makes it such a wonderful theater? And lastly we have to ask, how does it feel to have been a 2017 Tony nominee for Best Choreography for Holiday Inn? Visit www.papermill.org for ticket information for Paper Mill’s 2017-2018 season, and keep on the look out for exciting upcoming projects by Denis Jones.